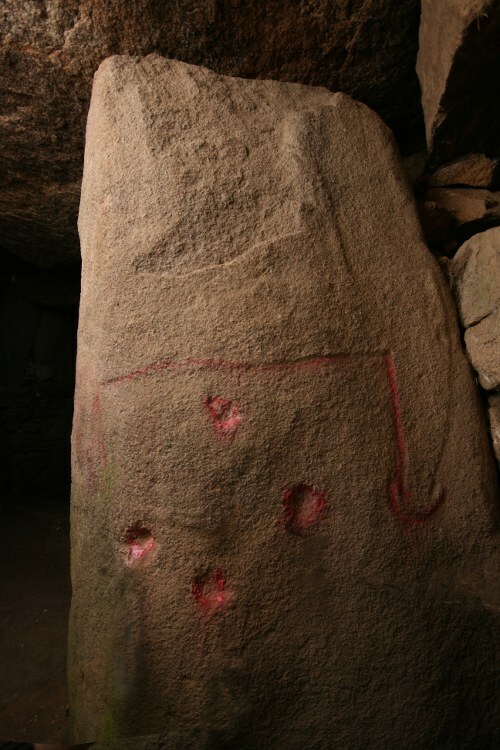 This symbol was named after the Mané Rutual (also known as Mané Rutuel or Mané Rethuel) chambered cairn where is was first found. It is also called ‘Mane Rutual axe’ or ‘plough axe’. 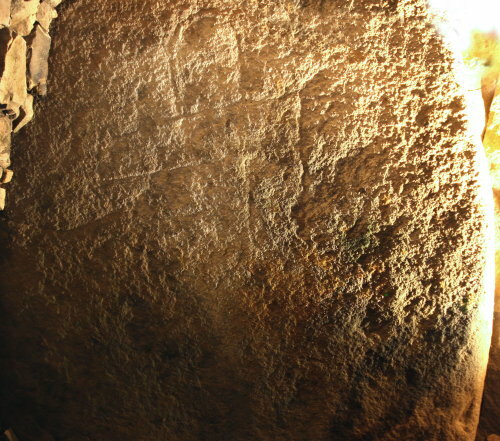 The symbol is found in a number of megalithic cairns. Although there is believe that some (if not all) carvings are on re-utilised stelae. Gavrinis capstone of Gavrinis chambered cairn is the middle piece of a stele fitting onto the capstone of the Table des Marchands. The carvings on the upper side and not visible in the chamber. 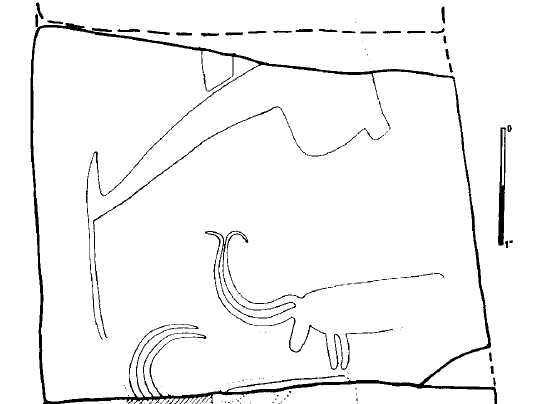 The symbol has been interpreted as a special type of axe that might be used as a kind of plough (Le Rouzic). 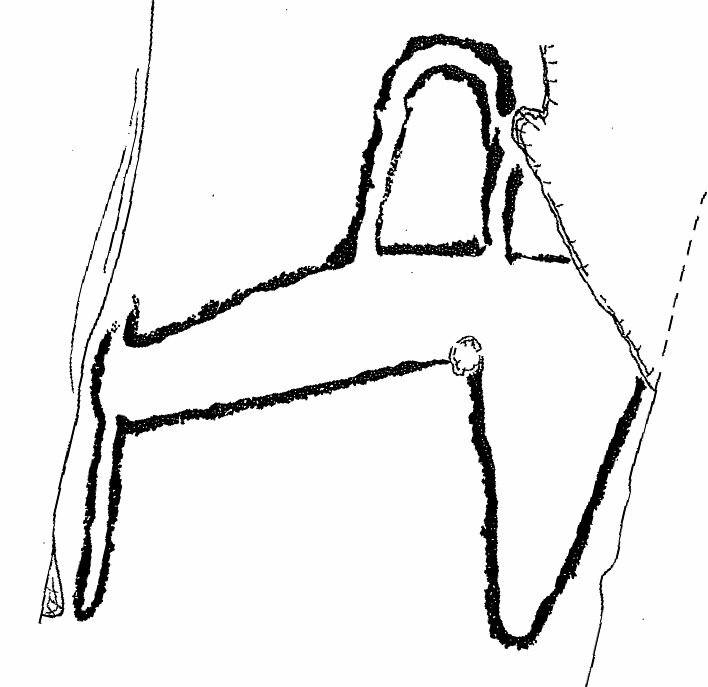 More recently Cassen  associated the symbol with a spouting whale. 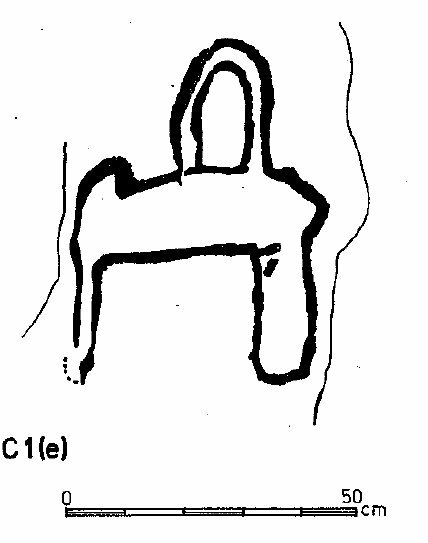 Cassen also includes the symbol on the back of the Mané Lud cairn in his considerations, which forms the least abstract form of the symbol. 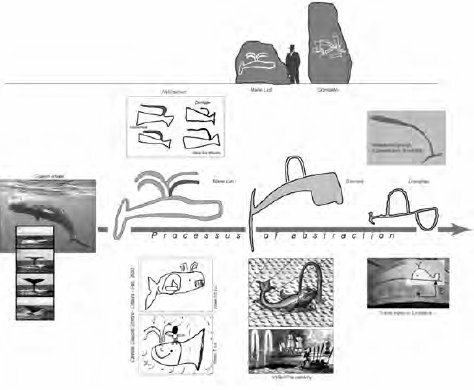 S. Cassen, “Pigeon-raven, snake and sperm whale, magical objects and domestic horned,” in Proc. of the 11th neolithic seminar, 2004.